Control over your tools anytime and anywhere by optimising your stock and maximising production by never halting due to loss or low stock levels. It saves time and money because it automatically informs Fasttools of what needs to be reordered. The system will generate reports for the managers automatically. Tool consumption costs normally reduce by 5 to 10% immediately upon installation. 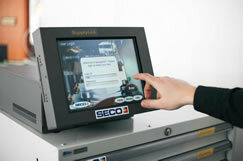 Fasttools will manage the supply, installation and maintenance of the Secopoint System. 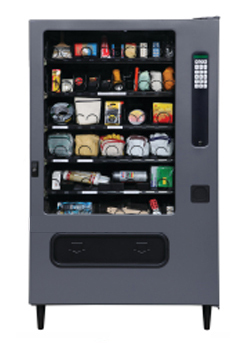 Unlike other systems this intelligent vending machine can be tailored to offer a combination of products (or components or tools) from different manufacturers and not just one. 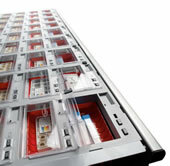 The System not only controls stock levels but helps with security as well so the production team can access all of the above instantly from a secure location. This is unique worldwide: SECOPOINT is internet-based. This means that you can have an overview of your data - wherever and whenever you want. You can control and link the tool stocks orders and stock takes of multiple locations. And here is what's special about it: no software purchase or complicated installations of software updates required. Once you give your approval everything is fully automated. 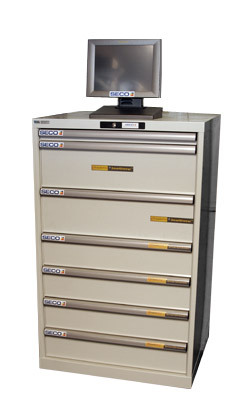 The SECOPOINT SupplyPort operating system synchronises tool consumption and tool stock holding perfectly. If offers more that just direct access to all data. SupplyPort can easily be linked up with your company software, such as SAP, Oracle, Movex and many more. Tool transactions are automatically synchronised with the stock control software, no more stock shortfalls, stocks are continually updated. If followup orders are required, they are generated automatically in line with your requirements. Statistics for purchasing and controlling are available at any time, at the push of a button. 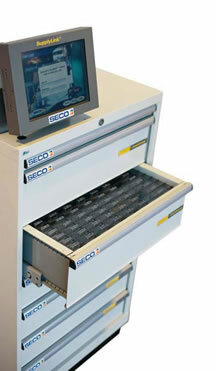 Tool dispensing and return control is self-explanatory and user-friendly, via a touch screen. Machine, workpiece, cost centre, components or the order are identified securely and quickly and allocated to the dispensed tool. To discuss your requirements and for advice on our products and how we can service your company, please do not hesitate to contact us.